I picked up a vintage sheet this week too, I do a little happy dance whenever I get one nowadays as I can never seem to find them. This one is a bit of a gem as it's so bright, it will make a great quilt backing. 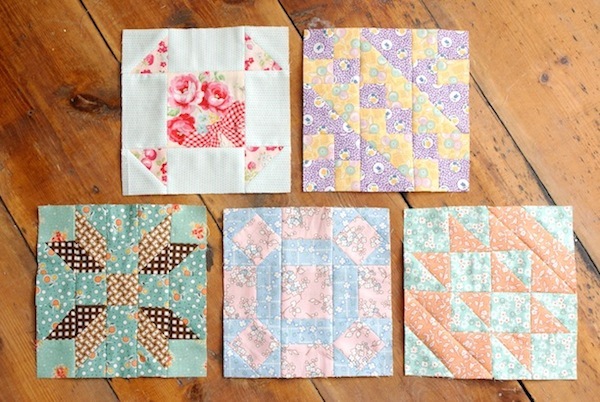 Talking of fads, I've added five more farmer's wife blocks to my collection! I scratched an itch when I made two the other week, and I haven't been able to stop. Though I have to take a break from them again as I have other *must* projects to be getting on with. Awww!! !...I need some of that fruit fabric! Can you share with me where you purchased? Those are gorgeous finds, and your Farmer's Wife blocks are so pretty! Lovely fabrics finds! Your farmer's blocks are gorgeous! Your blocks are just wonderful! And those vintage finds seem like they were waiting just for you. I love your vintage finds!! I seem to have the same faddy stages as well! Your Pyrex is beautiful! 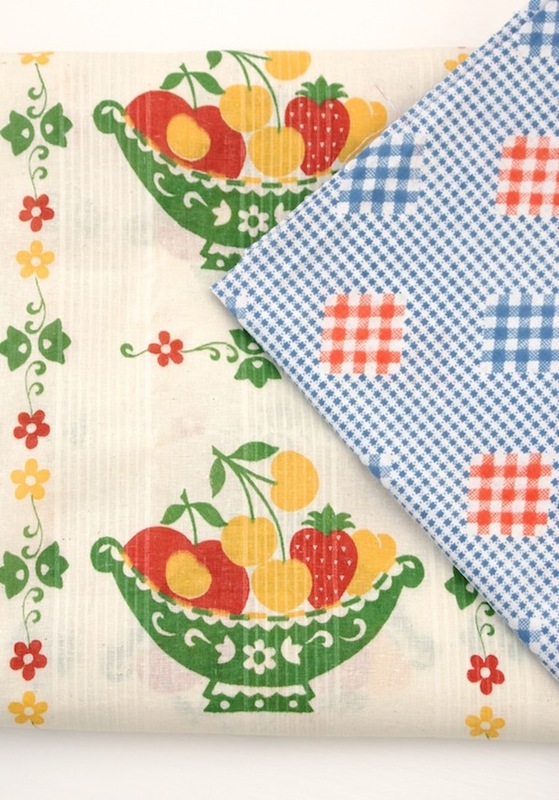 These fabrics are so sweet! 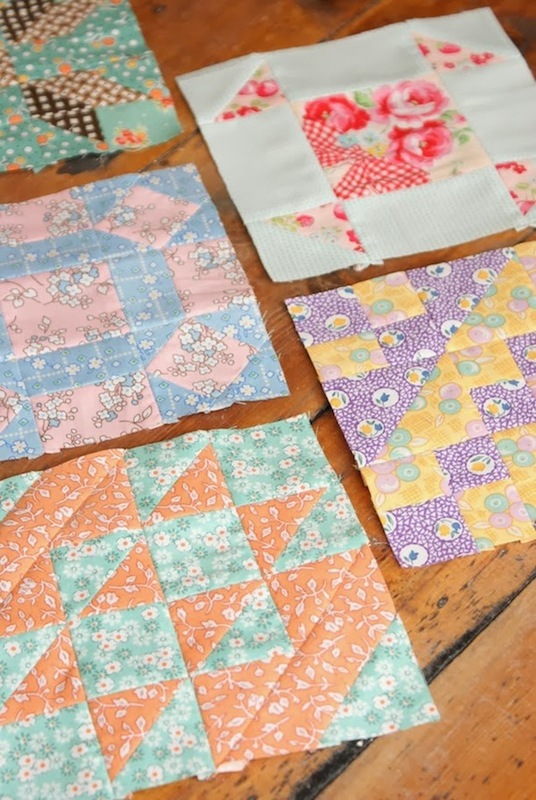 Such pretty quilt blocks, and fabric finds. 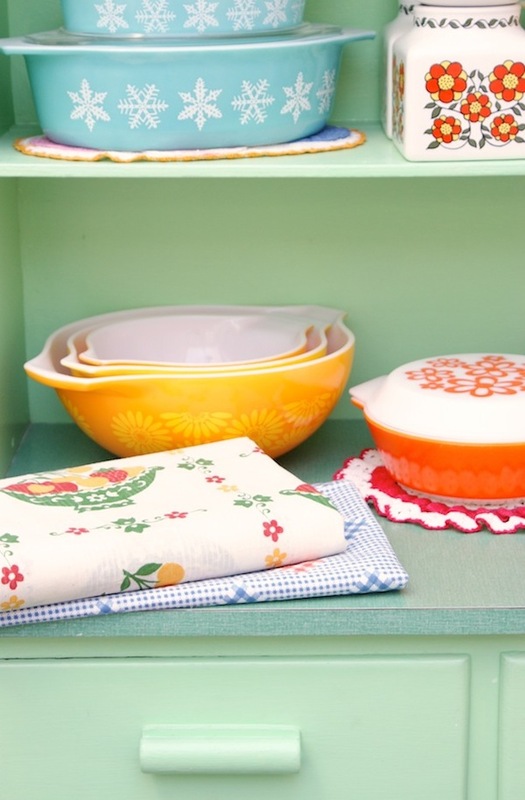 Oooo, and dreamy Pyrex!